During the natural history of chronic hepatitis B virus (HBV) infection, the loss of serum hepatitis B e antigen (HBeAg) and the development of anti-HBe antibodies (HBeAg seroconversion) mark a transition from the immune-active phase of disease to the inactive carrier state. This review examines the evidence from natural history and cohort studies on the relationship between HBeAg seroconversion and disease progression. The role of HBeAg seroconversion as an important milestone in the management of HBeAg-positive patients with chronic hepatitis B (CHB), as well as the advantages and disadvantages of administering a finite course of therapy for HBeAg-positive CHB, is also discussed. 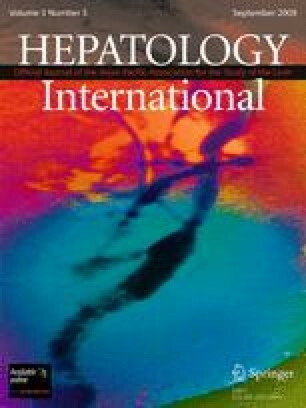 The evidence from natural history and cohort studies indicates that spontaneous or treatment-induced HBeAg seroconversion is associated with lower rates of disease progression to cirrhosis and hepatocellular carcinoma, a potential of hepatitis B surface antigen seroconversion, and improved survival rates. Updated guidelines developed by major liver associations recommend stopping oral therapy for HBeAg-positive patients who achieve sustained HBeAg seroconversion with polymerase chain reaction-undetectable HBV-DNA on two separate occasions for 6 or more months apart, taking into consideration the individual’s clinical and virologic response to therapy, as well as the severity of liver disease. Thus, early induction of HBeAg seroconversion with interferon-based therapy or oral nucleos(t)ide analogues has important clinical and socioeconomic implications for the management of CHB. The author thanks Kathleen Covino, PhD, for her editorial contributions and assistance in the preparation of the manuscript and Ms Su-Chiung Chu for her excellent secretarial assistance. The author has been involved in clinical trials and served as a global advisory board member of Roche, BMS, GSK, Novartis, and Gilead Sciences.